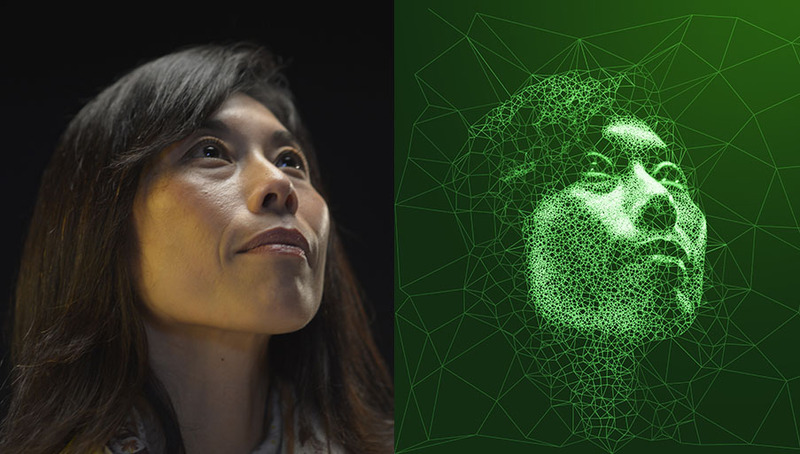 The image is first triangulated using a variety tweakable parameters to deliver visually pleasing results. Simply described, brighter areas mapped to higher frequency triangulations. Using masks gave us finer grain control where we might want more (or less) detail - such as the eyes. Colours and Numbers wrapped this process into a standalone utility for use by the agency. EMMA (Enhanced Media Metrics Australia) is "Australia’s new cross-platform audience insights survey." Emma serves ad and marketing agencies, presenting them with "consumer profiles" for digital targeting. Conceptually, the visuals convey the idea of virtual personalities emerging from the data.